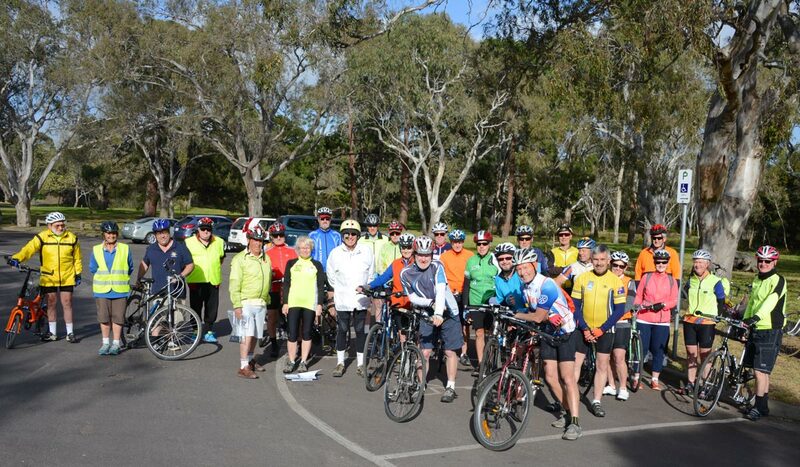 After yesterday’s heat, 28 cyclists enjoyed a cooler day for Cycling Geelong’s first ride for Seniors Month 2015. On Ya Bike! riders preparing to leave from Balyang Sanctuary on the Barwon River. Since the rides began in 2008, Rod has led the first ride, a river circuit, with a historical commentary. It’s always very popular. The Barwon River circuit has no road crossings, but the river is crossed twice, first over the historic Breakwater. This was built to ensure the water in the river remained fresh all year round, without backwash from the brackish water of Lake Connewarre. The second crossing is on newer bridges between Highton and Fyansford. The Barwon Edge was a welcome refreshment stop, with the friendly staff expertly coping with twenty-eight orders. 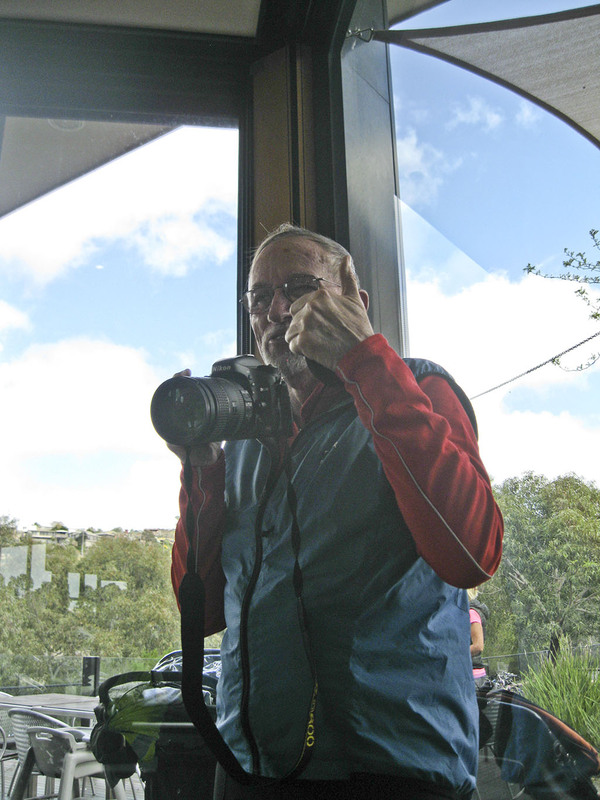 Thanks to Rod for leading the ride, and our trusty photographer, John Hagan of Geelong Touring Cyclists. Thanks also to all those who attended. The second ride in On Ya Bike! for 2015 is next Wednesday, October 14th. The ride takes the Bellarine Rail Trail to Drysdale, starting at the trail entrance at Geelong Show Grounds, corner Carr Street and Breakwater Road, South Geelong. * Rod Charles has published two volumes of a history of cycling in the Geelong region, titled A Whirr of Many Wheels. This entry was posted in On Ya Bike! Seniors Month rides, Ride reports and tagged Barwon Edge, Barwon River shared path by hlyth2013. Bookmark the permalink.